This 6 oz. cotton canvas grocery bag is a great addition to our grocery line. Measuring 12”W x 8 x 13”H, add your custom imprint for a great opportunity to showcase your business. 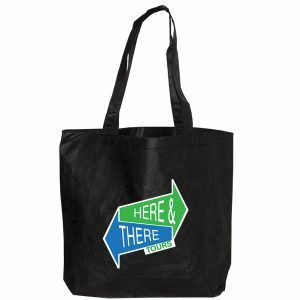 Cotton Canvas Grocery Bag (12X8X13) is one our newest grocery tote bags featured in our wide selection of products. This 6 oz. cotton canvas grocery bag is a great addition to our grocery line. You can add your custom imprint for a great opportunity to showcase your business on these stylish reusable grocery bags. Take a look at other great cotton canvas grocery bags here. 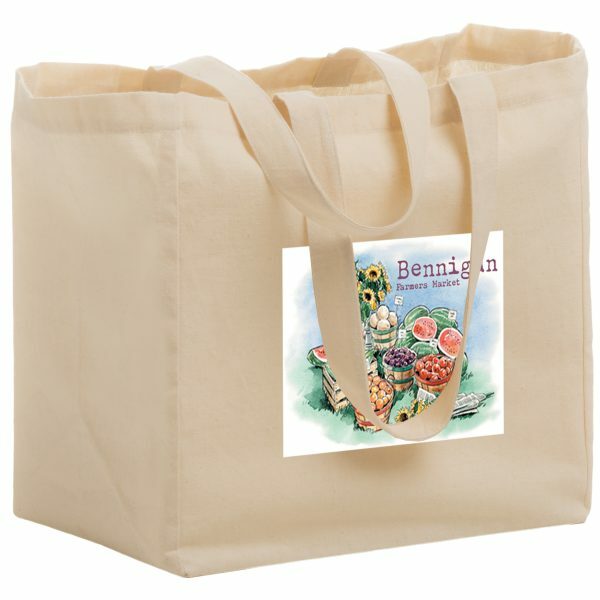 Cotton Canvas Grocery Bag (12X8X13) is one our newest grocery tote bags. This 6 oz. cotton canvas grocery bag is a great addition to our grocery line. 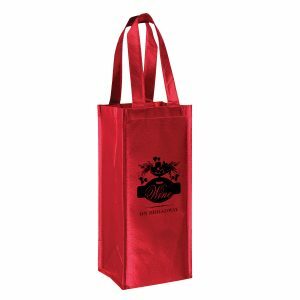 You can add your custom imprint for a great opportunity to showcase your business on these stylish reusable grocery bags. Take a look at other great cotton canvas grocery bags here. 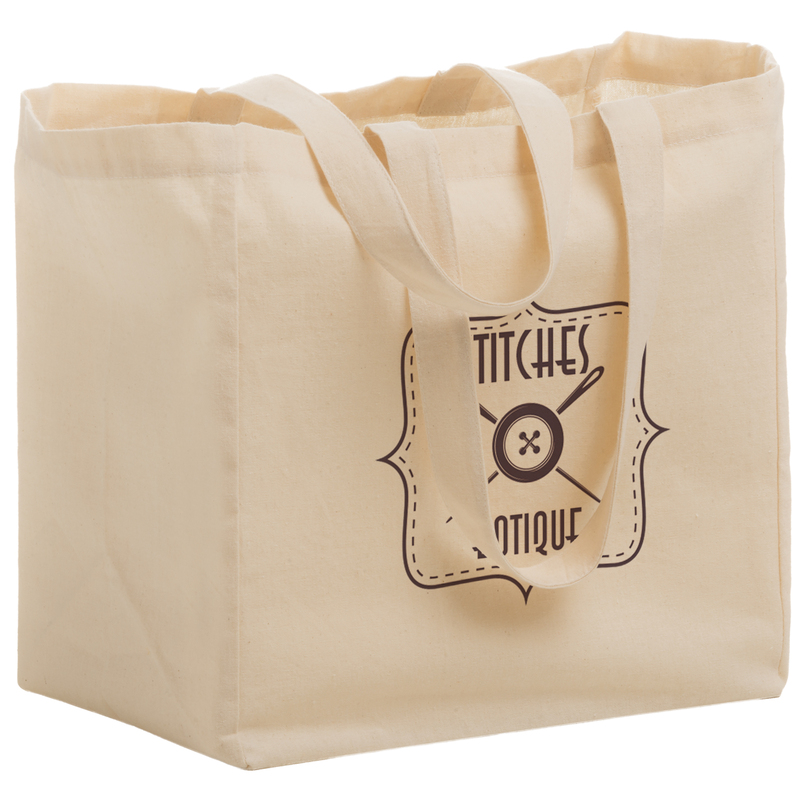 Eco friendly tote bags like these cotton canvas tote bags are just what you need to promote your brand. They are wonderful for featuring your company imprint and logo. The use of reusable eco friendly shopping bags reduces the use of plastic bags as well. This benefits the environment greatly. This reduces the carbon footprint on what we use and dispose. It’s time to do your part in preserving the earth. Give us a call today and our customer service staff will assist you with any questions you have. Visit us at customgreenpromos.com to see our complete list of products. This bag is available with a poly board insert for the bottom of the bag at an additional cost of $0.30 per bag. The insert is made out of recycled plastic. Please order separately and we will slip one in each bag for you. You’ll need to add 10 lbs. per 100 bags to the case weight if ordering inserts.